The City of Dunwoody reached out to Governor Nathan Deal to request that Wednesday, March 6th be set aside to especially honor the men and woman of Georgia who work tirelessly to make sure that our children make it safely to school. 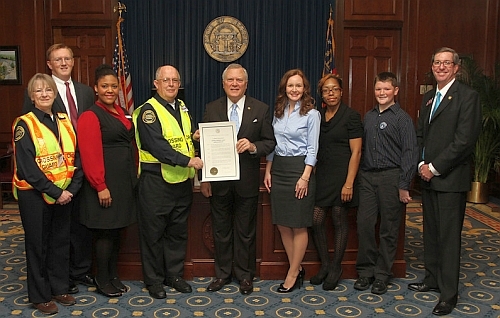 In the photo, Governor Deal is joined by myself, Representative Tom Taylor, Crossing Guard Larry Adams who works at Dunwoody Elementary School, Crossing Guard Supervisor Joanne Adams, staff from the Georgia Safe Routes to Schools program and my son Riley who was serving as a page in the State Senate. Wednesday, March 6th, is "Georgia Walk to School Day" with thousands of extra children hitting the streets so this tie in to honor those who serve is a natural extension of the day. 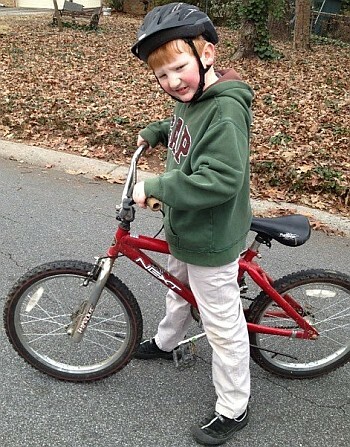 This is a statewide event, and each of Dunwoody's elementary schools - Austin, Chesnut, Dunwoody Elementary, Kingsley and Vanderlyn - will be hosting a walk/bike to school event on this day as part of its walk to school program. For the second consecutive year, Dunwoody's schools have staged a friendly competition - they will be competing for "The Golden Sneaker of Dunwoody" - awarded to the school with the highest percentage of walkers. Last year Kingsley Elementary had 97% of their students walking and they just edged out Austin Elementary where 92% of their students walked. Please assist me spreading the word of "School Crossing Guard Appreciation Day" throughout the State, your local school system and your children's school. 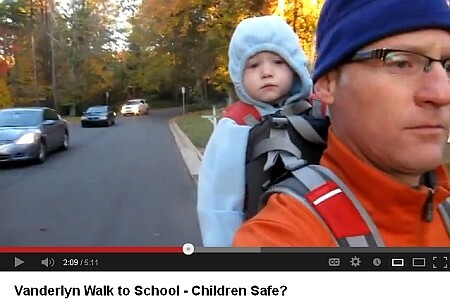 Finally on Wednesday, March 6th please walk your children to school and thank those who make it safe to do so. They deserve it. 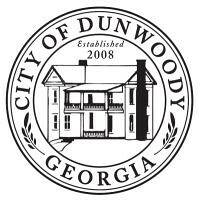 City of Dunwoody to look closely at additional sidewalks and school safety improvements. 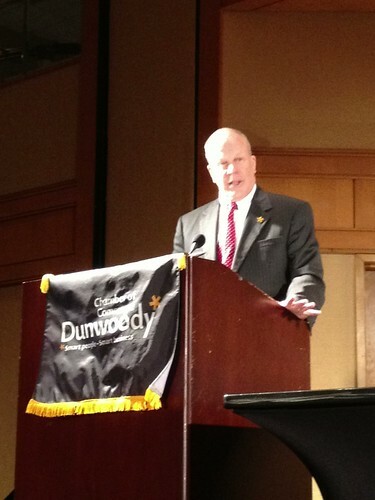 At the State of the City Address, Mayor Mike Davis announced that safety improvements will be made around Dunwoody schools. At this evenings City Council Meeting the Mayor announced that at the March work session, the City Council will be discussing adding missing sidewalks like the one on Hensley Drive shown above as well as contemplate other safety improvements that are needed around our schools. The City Council pulled $700,000 of funding off the Womack / Vermack roundabout and those funds are are sitting in reserves until needed. It appears that the final roundabout design will not be brought back to Council until late in the year therefore a portion of those funds could be used for the Mayor's announced safety improvements. Besides looking at crosswalks, school signage and lighting systems should be reviewed and upgraded as needed to the 2013 standards from the 1960 standards when they were first installed. 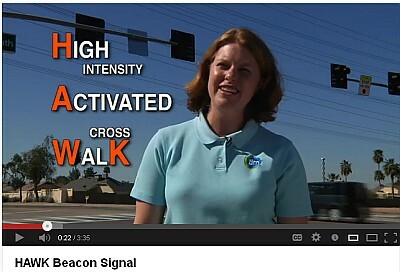 I believe HAWK beacons may be needed at several specific crosswalks located on heavily traveled streets and we will be looking for location recommendations from the Public Works Department, the School PTA's and the general public. Watch the video. Where would you like to see these devices installed? Near Schools like Mt Vernon at Stratham near Vanderlyn, Chesnut Crosswalk on North Peachtree, Chamblee Dunwoody at Redfield near Austin, or maybe on other high traffic areas away from standard traffic lights like Mt Vernon near the Branches, Chamblee Dunwoody at Kings Down or Tilly Mill at Stonington or Andover Rd's. Where are the highest needs and where would you like to see improvements? Recap: I was having some video difficulties on Monday night but below are the decisions on the items. 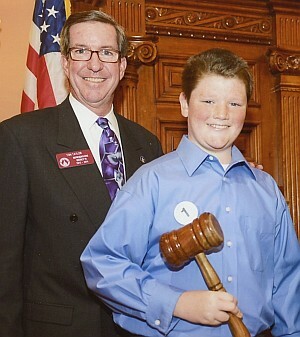 Representative Tom Taylor was recently interviewed on Star 94 discussing his bill that would pave the way to create the Dunwoody City Schools district. The interview can heard by clicking this link. Hosted by Dunwoody Parents Concerned about Quality Education, Inc.
For more information, contact Allegra Johnson (ajwigwam@bellsouth.net). In February 2013, volunteers throughout the United States will participate in B’nai B’rith’s annual “Cares for Kids” Drive. In past years, this program has given away more than 15,000 stuffed animals to children in hospitals, schools and shelters here in Atlanta and many more across the country. B’Nai Brith is the first and oldest Jewish service organization in the U.S. They provide assistance to people around the world and support a variety of community service programs, including projects in schools, disaster relief, senior citizen housing, and youth development and education. Help is given to people or institutions in need irrespective of ethnicity, race or religion... This “Care for Kids” program is one of its leading community service projects in the United States. In January, February and half of March, 2013, boxes will be distributed to schools, houses of worship and other facilities throughout the area. Achim/Gate City Lodge members will be collecting new and gently used stuffed animals as well as obtaining monetary contributions to enable the purchase of additional animals. Following the collection drive Achim/Gate City Lodge volunteers will personally distribute stuffed animals to children in schools, shelters and day care centers in the Atlanta area. Cindy has boxes in the Kroger, Chamblee Dunwoody/285 store (at check out), as well as in the office of Seiden Chiropractic Center at 1713 Mt. Vernon Rd. Ste #2. On behalf of the less fortunate kids in the city, we thank you so very much for your generosity. We do this every year so don’t hesitate to contact Cindy if you have some to donate during the year. Recognition of Detective Ronny Delima for Achieving Certification as a Licensed Computer Forensic Examiner. Resolution of Streetlight District-Whitney Landing. Resolution of Streetlight District Leisure Ridge. Second Read: Ordinance to Authorize the Lease of Fire Station 12 to DeKalb County. 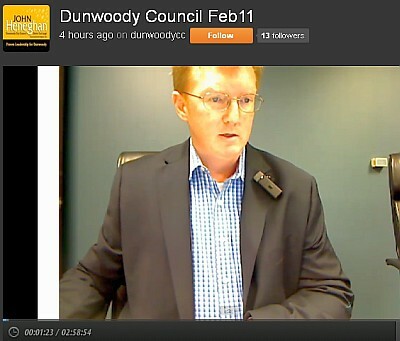 Second Read: Ordinance to Authorize the Lease of the Dunwoody Library to DeKalb County. Award of Contract for the Award of Contract 13-01 Project Renaissance Park Construction. Georgia Development Partners is the apparent low bidder at $1,698,678. Excess dirt will be brought to Brook Run back 30 acres to create more useable green space. Action Item: Authorizing City Manager to Allocate Funding Up to $10,000 for Seasonal Concert Series. 246 PERIMETER CENTER PARKWAY, N.E. A. COUNCIL BREAKFAST - 7:30 A.M.
B. CALL TO ORDER - 8:15 A.M.
1. For the Purposes of Legal, Real Estate, and Personnel Discussions. Additionally on Thursday the Council is meeting to do a tour of our neighboring cities. 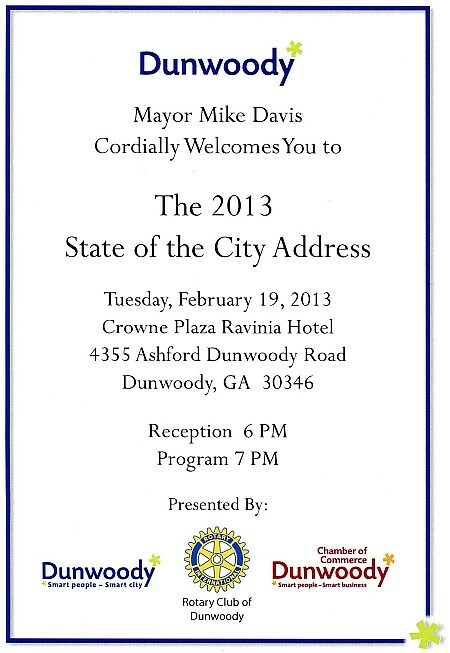 Dunwoody State of the City is scheduled for Tuesday and open to the public. 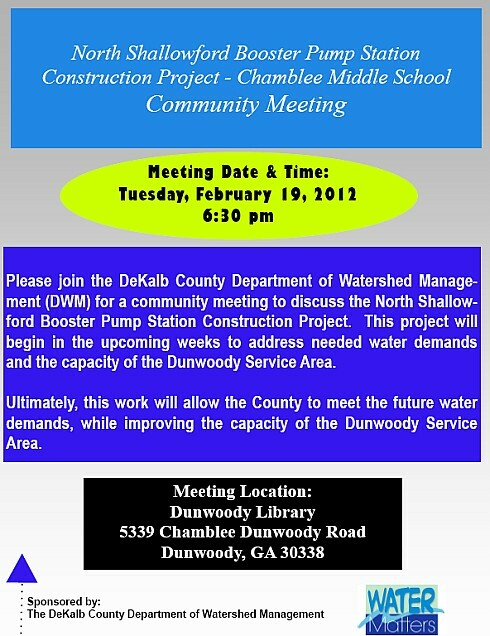 The North Shallowford Booster Pump Station Town Hall meeting will be held Tuesday, February 19, 2013 at the Dunwoody Library at 6:30 PM. 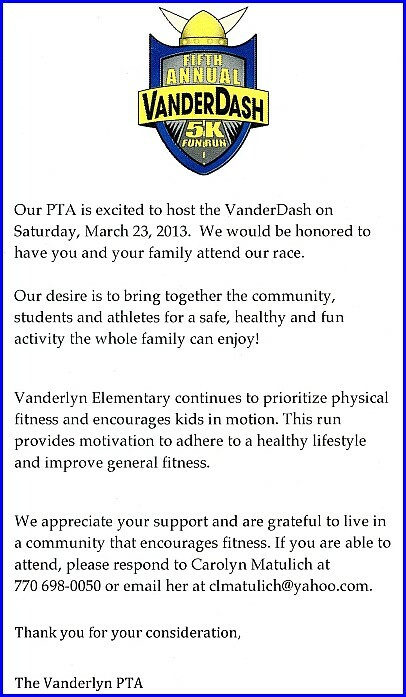 Additional information is provided in the above flier. DeKalb Water purchased a 1/3 acre parcel of land on the old Chamblee Middle School Property to install a new water pump. There was a previous town hall meeting conducted a year ago, during the design phase of this project, which I am told was well received by the public. Now that the construction phase of the project will begin soon, DeKalb County Department of Watershed Management will have the another meeting to address any questions that the public may have. 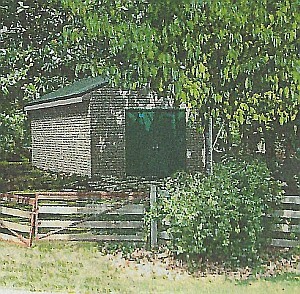 Attached is a map that shows the location of the water pump and here is a photo of what the 4 sided brick, "shed/house" might look like. Chesnut Charter Elementary School parents, please plan to attend this free safety presentation at 6:00PM on Tuesday February 19, 2013. Dozens of children are killed and dozens or hundreds more are injured in firearms-related accidents in the United States each year. With between a third and a half of American households containing a gun, guns present as much a risk to children's safety as prescription drugs, swimming pools, electrical outlets, and crossing the street. 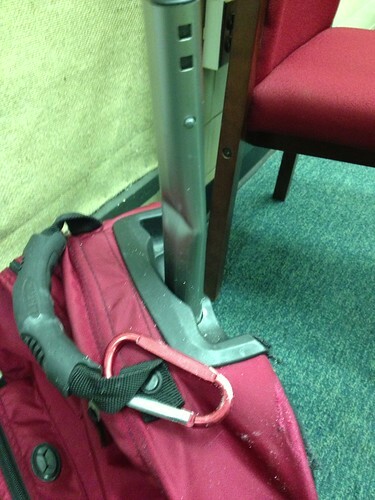 Most firearms-related accidents involving children can be avoided. In the same way that parents teach their children about those other risks, so we should educate their children about the risks guns pose and how to avoid them. This applies equally to parents who own guns and parents who do not. This brief multimedia presentation provides parents with specific talking points and pointers to educational resources they can use to discuss this challenging and difficult topic for three different age groups - preschool to third grade, fourth to sixth grades, and seventh grade and up. Please note this presentation date is for Chesnut Charter Elementary School parents. If you would like to bring this free child safety presentation to your school, house of worship, or community association, please contact the author of this post. I recommend that if you feel so inclined, please write a personal letter to Governor Deal and/or the Georgia State Board of Education. Emails are fine, but a personal letter, hand delivered by my office to the Governor or the State BOE guarantees that your thoughts and opinions land where they need to go. My Chief of Staff Page Olson will be collecting letters at her home now through next Tuesday, February 19th. 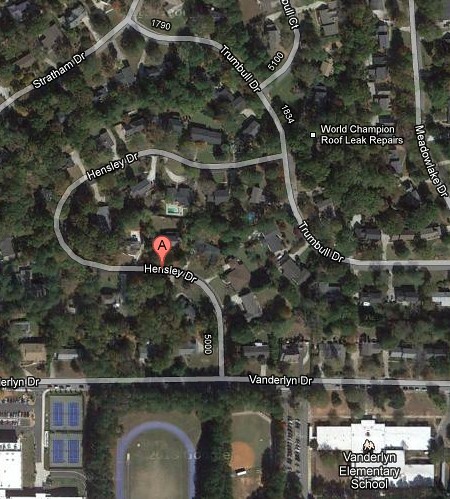 She lives at 1148 Redfield Ridge in Dunwoody. She'll have a box at the top of her driveway for your to deposit you letter. 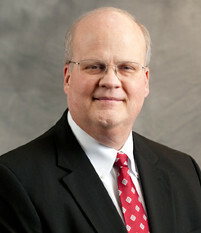 Make sure that it is marked to go to either Governor Deal, the State BOE or both. I'll hand deliver to both offices on Wednesday morning the 20th. Contact my office at any time should you have questions. 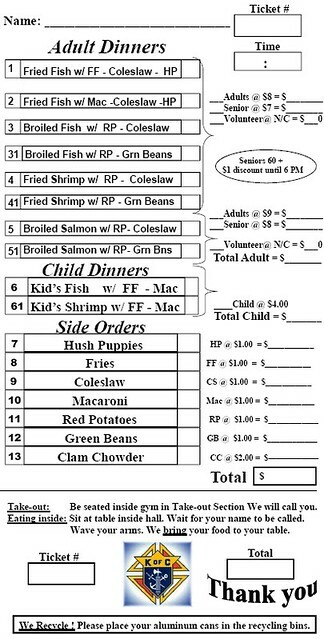 All Saints Fish Fry is back starting tomorrow, same great menu, same great price - now with more space. 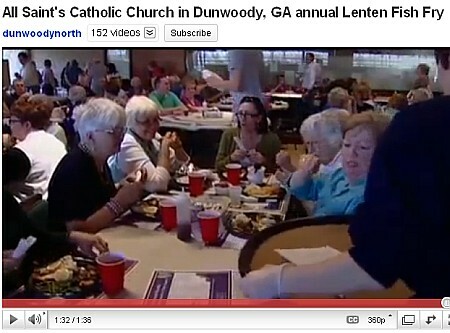 The Knights of Columbus, Council # 11402, where I am a member, based out of All Saint's Catholic Church in Dunwoody, GA serves the “WORLD FAMOUS” FISH FRY offering over 1,000 dinners every Friday night during Lent with tonight being the first Friday offering and the last will be March 22nd. Adult meals are $8 (except salmon $9) with child meals only $4. Seniors (60+) get an “early bird” $1 discount between 5 & 6pm only. Fried & baked tilapia, baked salmon, & fried shrimp with coleslaw, green beans, red potatoes or fries, and hush puppies complement meals. Special Knight recipe clam chowder at $2 per bowl. Numerous desserts & adult beverages too. Take-out is available but come join in the fun by taking the entire family out for a great meal. This year, in order to allow an expanded dining area the fish dinners will be offered in the Gym which is accessible in the lower parking lot at the back of the property. The parking spots near the gym will be reserved for take-out patrons, the elderly and infirm who can’t walk far. Below is a menu and I hope to see you there as it is quite a community social gathering. A hero walks among us - a Dunwoody crossing guard saved my son's life. My son Declan, age 7, a first grader at Chesnut Charter Elementary walks about two blocks to school every day with a fourth grade neighbor. Thursday morning about 7:15 am (15 min before sunrise) it was a foggy morning with a slight drizzle so Declan was wearing his bright Red rain coat. The kids walked down North Peachtree Rd to Chesnut. Crossing guard Ms. Lorraine Knox assembled a few children at the crosswalk in front of the school, stopped North Bound traffic with her Double Sided Lit Stop Sign and there was no South Bound traffic to stop. Kids crossed under the supervision of Ms. Knox who was standing in the middle of the road with her lit stop sign and Declan was the last child to go across. At this point a vehicle coming Southbound was heading towards the Chesnut crosswalk without acknowledging Ms. Knox’s stop sign nor having any intention to stop and she then she took it upon herself to push my son Declan out of the way of the large pickup truck. 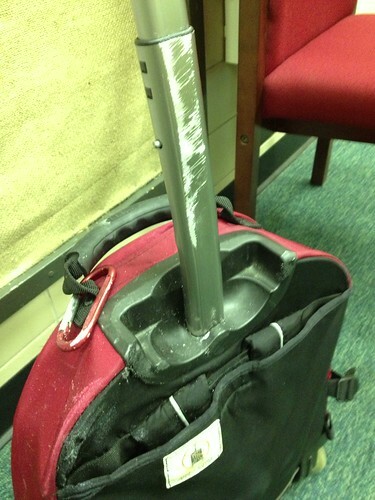 Declan’s rolling backpack was hit and dragged 10 feet down the road. The driver, Mr. Henry G. Skelton of Sandy Springs pulled over, saw that no one was hurt and the Principal Veronica Williams escorted him to the office so he could provide his driver’s license and a phone number. After the license was copied, Mr. Skelton was in a hurry so he decided to be on his way. I was getting ready for work when the call from the school came in, I rushed over, verified Declan’s well being and called the police as they had not yet been contacted. The next hour was mostly spent being a wall flower in the Principal’s office where I listened to the details of what happened as the Dunwoody Police and the DeKalb County School Police questioned Ms. Knox, Ms. Williams and others. Knowing that Declan was fine, I actually spent most of my time worrying about Ms. Knox, reassuring her and providing numerous hugs as she was physically shaken by the incident. That evening Principal Williams notified the entire Chesnut community of the incident in an email and asked that we all be advocates for safe driving in our school zone. Based on the official Dunwoody Police report, Mr. Skelton was cited later in the day with “Obedience To Authorized Person Directing Traffic”. By all accounts, Ms. Knox saved my son Declan’s life and the Heneghan family will be forever grateful! I have been a proponent of traffic safety, especially around schools and through residential zones for a long time and believe that more still needs to be done to secure our children's well being. 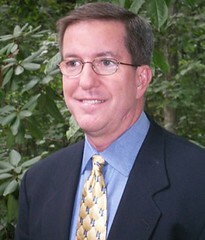 I will be asking the City of Dunwoody to work very closely with the DeKalb County School System and the various Parent Teacher Associations to do a full analysis of each school and then install the best in class infrastructure suited to each school's needs as well as provide further education to all involved. I am not sure if any real infrastructure improvement would have stopped this specific incident but we as a community have the responsibility to try. My possible suggestions or next steps to stop this accident or other accidents from being repeated are as follows. Please feel free to comment or email me with more. The South bound school zone flashing light showing that the school speed zone is in effect on North Peachtree is located almost two blocks away from Chesnut at Riverglenn and I believe that distance needs to be shortened by placing another Flashing School Zone light system before Peachford, most likely near North Peachtree Court. North Bound may not need another notice as PCMS is served by a traffic light and visibility is much better. I do not believe that there is a School Zone flashing light system on Peachfrord and this needs to be reviewed. The crosswalk indicators that have been placed in between the two rows of traffic may be ineffective as they are routinely hit and knocked out of place. On Thursday, the date of the incident the sign was not in place at Chesnut and honestly it wouldn’t have been much of a help if it had. At my Monday night Dunwoody City Council meeting I will be returning the last two signs that were placed at Chesnut as they aren’t doing anything productive being propped up against the school building near the front door of the school. I will be suggesting that all major roadway crosswalks serving Dunwoody schools be outfitted with HAWK lights and/or the in ground crosswalk lights I suggested for a possible new crosswalk at Tilly Mill and Stonington. (On related news, I talked to Mr. Bob Lundsten who is Elaine Boyer’s Chief of Staff and he will be exploring more options with the City of Doraville in order to get the cross walk on Tilly Mill installed). State law allows a zero tolerance for speeding in a school zone whereby the Dunwoody Police can issue citations at 1 mile over the maximum posted school zone speed limit and we need to seriously assess what our standards and priorities need to be for the safety of our children. This incident needs to be a wake up call for the community and I am not just saying it as the Father but also as the City Councilman who is worried about your children. The City Council hired a special traffic (and crime suppression) unit who will soon be targeted at the problem spots within our community. My question is will the community be able to stomach strict enforcement? On Wednesday, the day before the incident I was tasked to be the "walking school bus driver" for my neighborhood walk to school day and on my walk to school with a group of children I noticed that the four foot wide sidewalks on North Peachtree Road are not wide enough to allow a parent and a child to walk side by side without someone being in the grass or terribly close to the street. I would like to see the sidewalks around all Dunwoody schools evaluated for proper width and safety and where possible I would like them widened where numerous children walk. I would also like the curb height evaluated near schools as the granite curbs on N. Peachtree (and many other places) are woefully inadequate to stop a car from rolling on to a sidewalk. I would like to see standardized, highly reflective crossing guard uniforms and devices for all Dunwoody crossing guards. I would like to see assertiveness training as well as a refresher course for all Crossing Guards on an annual basis and then make sure that each guard is evaluated by a supervisor at least once per quarter of the school year. I would like to see an educational program by both the schools and the city on traffic and bike safety to educate our children. 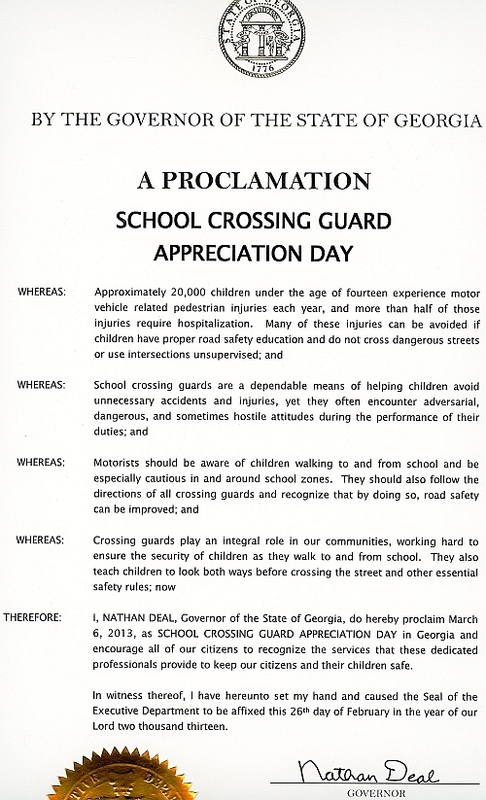 I would like each PTA as well as the Dunwoody Community in general to start planning for Wednesday May 1st which is national crossing guard appreciation day. Though I am not sure I want to wait that long to honor Ms. Knox and the other dedicated crossing guards; I want this to be a yearly Dunwoody event. Please slow down in our school zones and know the 25 miles per hour speed limit is the maximum speed allowed and that slower is also acceptable. Meeting recap, here is the Agenda - everything was a discussion with no actual votes. 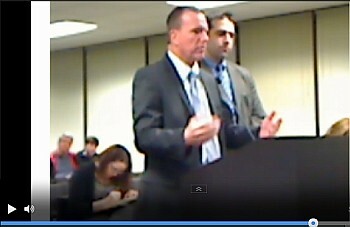 Lots of spirited communication both among Council and from those attending. If you find this email to be of interest, please forward it to your friends and neighbors. 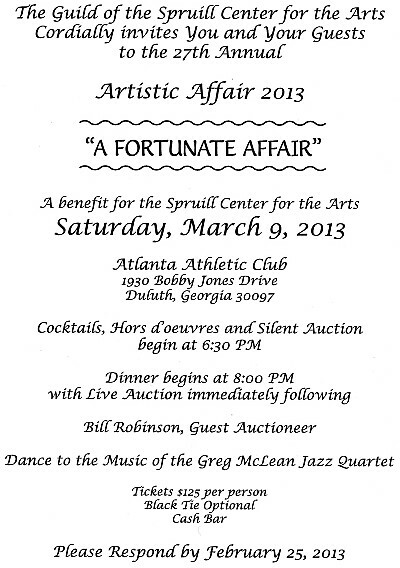 If you received a forwarded copy and wish to subscribe, please email me at terry.nall@dunwoodyga.gov. Despite my efforts to pass an alternative plan, the majority of Council (vote 5-2) concluded the existing parkway plan approved by the 2011 Council is best for Dunwoody's future. This was after careful research and deliberation by my fellow Council Members. The deliberation phase of this project is now over and it is time for implementation. Because of grant funds will subsidize the city's cost, many administrative details are now underway. Construction is tentatively expected for this August, which will avoid the Dunwoody's Independence Day parade. The Dekalb Superior Court injunction that halted this trail construction was lifted by the presiding judge on February 4. The homeowners' lawsuit may continue, but the burden of demonstrating irreparable damages by the trail was not met by the plaintiffs, as determined by the judge. Construction will resume as soon as the contractor re-mobilizes the crew, which is expected mid-February. I attended each day of the court hearings in order to hear the evidence and arguments of the plaintiffs, as well as hear greater detail from the city's engineers and trail consultants. Every design feature of the trail has a specific rationale behind it. This includes having the trail compliant with the Americans with Disabilities Act (ADA) in order to make the trail available to those with disabilities, limited mobility, or other hindrances not faced by able-bodied persons. The final design also allows access by emergency vehicles when needed. In contrast, the alternative trail design preferred by those who signed a noted petition for presentation to City Council erroneously does not result in ADA compliance and thus, excludes park amenity access by disabled and limited mobility citizens. Some signers noted that they preferred a mulch trail to any paved surface. This would also preclude families with strollers or families with bicycles from enjoying this park amenity. I do not support citizen exclusivity. Dunwoody is better than that. Our park amenities should be available to all citizens, not just the able-bodied. The petitioners' approach also prevents access by emergency vehicles. All it takes is one medical emergency where the window of survivability is critical and the current trail design will prove invaluable. As with the Dunwoody Village Parkway, the deliberation phase of this project is over and now is time for implementation. Council approved the city's first False Alarm Ordinance that affects businesses and residents with alarm company monitored alarm systems. For the last four years, Dunwoody paid the price for having no policy about false alarms. Each year, our police respond to over 4,000 false alarms, which is an average of over 80 per week. This is excessive. We have a modest-sized police force and false alarms tie up officers who would otherwise by available for 911 calls. False alarms are avoidable with intentional system maintenance and attentiveness by alarm owners. Implementation details for the new ordinance will be forthcoming when implementation begins in a few months. This is a key priority for me. We must ease our intersection congestion as the city population continues to grow and more vehicles are added to our streets. Each intersection project takes an estimated 18-24 months for the entire timeline of preliminary design, final design, bids, easements and right of way acquisition, and finally construction. The intersection improvement for Tilly Mill, N. Peachtree, and Peeler is now underway with easements and right of way work. Construction is expected to begin either late 2013 or early 2014. The Vermack/Womack intersection remains in the design phase to incorporate the issues raised during public and neighborhood meetings, as well as other public input received. These two intersections are our first to be considered as we seek to improve 1-2 intersections each year under our "pay-as-you-go" policy. 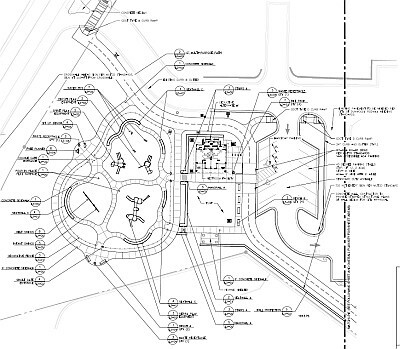 With the arrival of 2013, two new intersection improvements to start the conceptual design process include Mt. Vernon at Vermack and Chamblee-Dunwoody at Spalding. If you have input or suggestions on these or other city topics, please contact me. Also, I am available to present to organizations, church groups, neighborhood associations, etc. and kiddy corner from the abandoned school. The City of Dunwoody is embarking on Project Renaissance, a residential redevelopment project in the Georgetown area of Dunwoody. This redevelopment project is a public-private partnership between the City of Dunwoody and John Wieland Homes and Neighborhoods. As part of that project, the City has developed plans and intends to select a qualified contractor for the two new public parks and multi-purpose trail to be constructed on the 16-acre portion of land between Chamblee Dunwoody Road and Dunwoody Park. The two public parks will consist of new restrooms, park structures, play areas, seating areas and new lawn, landscaping and irrigation. Landscaping will consist of new turf areas, ground covers and grasses, various deciduous and evergreen shrubs, accent trees and shade trees. The selected contractor will be responsible for providing a one year warranty period from date of planting completion on all the landscape plant material installed. The multi-purpose trail, linking both parks, will be a 12’ wide concrete trail to match the trail that the City is installing in nearby Brook Run Park. The Chamblee-Dunwoody Family Park improvements include terraced grading with low granite seat walls, and the playground area utilizes a porous poured-in-place play surface and perforated pipe under drain system to collect all rain runoff. A new parking area is proposed and will be provided with associated storm drainage. There is a proposed bathroom building with domestic water and sewer connections as well as an irrigation meter with irrigation system. The existing failing large modular block retaining wall is to be removed, re-graded and replaced with a planted slope. The Central Square Park improvements include new angled parking around the perimeter, a large central pavilion, a new restroom and storage building, a linear plaza space with low granite seat walls and a decorative fountain, two bocce courts and associated concrete sidewalks and the 12’ wide concrete multi-purpose trail. The Central Square Park modifies the existing grades to create terrace levels, large open playfields and as a result, there are low granite seat walls with ramps to access the main central pavilion providing an amphitheater area to the southeast. It also has a proposed restroom and storage building and as a result has both water and sewer connections. The civil design proposes perforated pipe underdrains under the porous bocce courts and yard inlets throughout the grassed play areas. Existing drain inlet tops are both adjusted to grade and converted to grate inlets due to the relocation of the curb around the proposed park improvements. In addition there are two irrigation meters in this area, one for the irrigation system and one for the decorative fountain. The restroom and storage building, the large pavilion and other areas of the park will require electrical service for decorative and security lighting and electrical outlets. The proposed concrete multi-purpose trail starts at Chamblee Dunwoody Road and runs for approximately 1,700 LF down to the corner of North Shallowford Road and Dunwoody Park. One exercise station along the trail will have outdoor equipment and the trail will also feature landscaping and irrigation to provide a linear park feel. FIRST READ: Ordinance to Authorize the Lease of Fire Station 12 to DeKalb County. Discussion for the Award of Contract 13-01 Project Renaissance Park Construction. Discussion of Streetlight District-Whitney Landing. Discussion of Streetlight District Leisure Ridge. Discussion of a Seasonal Concert Series. Discussion of Options for the Ethics Ordinance Rewrite. Discussion with Steve Dush, Community Development Director, Zoning re-write update. Related - Does DeKalb Still Need a CEO? I came across a Tweet on Twitter which highlighted an interview that Mayor Davis gave describing a possible development situation for a large empty corporate building located immediately behind the old Best Buy (new Nordstrom Rack) store on Hammond. If you read the article you will see that the idea being floated by the Mayor was an increase in the hotel tax to pay for a sports complex which could then be used draw visitors to our city. The location is immediately adjacent to 285, next to the Marriott Hotel and close to the Dunwoody Marta Station. This location is also near several parcels (Fudruckers & Chequers) that at one time had plans drawn up for a condo / residential office project but instead of a Transit Orientated Development; I would prefer Hotel/Office and possible high rise condo development on that land. My personal preference for the 15 acre GoldKist property (if the 1970's corporate office complex is no longer viable) would be a small Convention Center / Hotel complex at the location, or nearby, to tie into Marta and future hotels as I believe convention floor space is lacking in the Top End. I understand the traffic issue but also believe the new flyover bridge of Perimeter Center Pky could be utilized in the design and possibly someday feed 285 with the redesign of the 285/400 corridor. I am proud that Mayor Davis is willing to float ideas to improve the city and I truly encourage my fellow elected officials and all citizens to do the same. Not every idea can a winner and I don't have enough information to judge this one, but why not throw it out there for public review? Leaders have vision and are willing to do that as well as listen to ideas that differ from their own. More important than long range city planning, I believe public safety is government's number one responsibility and I can tell you we take that charge seriously. The idea of tornado sirens has been broached in the past but Council has passed on the idea due to cost, implementation and the now prevalence of double pane insulated glass which would muffle the sirens. Instead Dunwoody hopes that everyone is registered with DeKalb County Code Red for their emergency notification service as well as heeds all other public weather notifications given by the media. Other than sirens and encouraging personal readiness, the city staff has been exploring what to do as far as emergency shelters, in case they were ever needed. Ms. Pattie Baker has been pushing this idea and we are exploring options with the schools and the college, but with the city government not owning any newly constructed public city buildings like a police station or city hall, our options are limited. Other options like agreements with hotels might be possible but are still being explored. Thoughts? Suggestions? Please post them. Are you ready for the next big storm?